Who doesn’t love a good old fashioned carnival? While we do not have any elephants, we do have lots of fun planned. We will take our nightly tour of the campground on the hay wagon, do some arts and crafts, and finally a marshmallow roast. Saturday night, come test your luck with some old fashioned fun and games; there are lots of fun prizes to win! 6:30: Hay wagon ride. Come for a tour of The Lantern Campground. Hop on by the lower pool! 7:30: Magic Show! Meet us at the pavilion! 8:30: Marshmallow Roast – We provide the marshmallows, all you need is a stick! Meet at the campfire circle. 5:30: Hay wagon ride. Come for a tour of The Lantern Campground. Hop on by the lower pool! 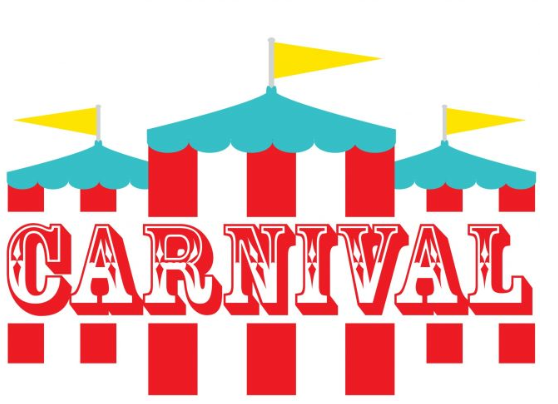 6:30: Fun & Games – Come join us for some old fashioned Carnival Games! 8:30: Build your own S’mores around the campfire! Meet at the campfire circle!